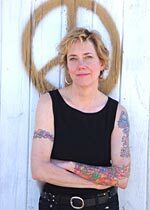 Elizabeth Hand, a New York Times notable and multiple-award-winning author, has written eight novels, including the cult classic Waking the Moon, and several short-story collections. She is a longtime contributor to numerous publications, including the Washington Post Book World and the Village Voice Literary Supplement. She and her two children divide their time between the coast of Maine and North London.